Do I Really Need a Compact Router? February 14, 2013 By Paul Mayer & filed under Buying Advice. Like most woodworkers I already owned multiple routers, both table-mounted and hand-held, before hearing about the new breed of routers that cast a smaller shadow than their full size counterparts. When I first read about them my initial assumption was that there wasn’t a need for one in my shop.Cynically I supposed that this could be the effort of tool companies to simply create a new tool category just for the sake of moving some units, without really assessing the fit for this category within the existing spectrum of routers. In other words, a great solution to a problem that nobody has, so to speak. Then I thought a bit more about how I normally use routers in my shop. 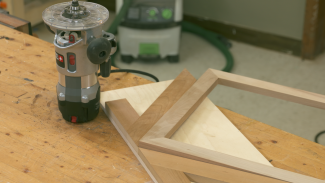 I typically do all routing possible on the router table because of ease of handling and better dust collection, and I realized that I tend to avoid doing hand held routing unless it is virtually unavoidable due to the cumbersome nature of the tool. Hmmm…maybe these tool designers are on to something after all. As I continued to contemplate this I realized that I would do more hand routing, and my projects would therefore improve aesthetically, if the router were smaller and less cumbersome to use. In my new enlightened state I decided to let go of my conspiracy theory to give this new class of router a try with an open mind. For my tests I experimented with two different compact routers: a DEWALT DWP611PK and a Porter Cable 450PK. Each of these kits came with a fixed base and a plunge base, allowing the motor to switch between the bases for configuration flexibility. Although these units deliver nearly the same power as typical full-size router (1/2 horsepower less than my go-to hand held unit, a Porter Cable 690) they feel much smaller and lighter. The lighter weight and advanced ergonomics appeal to me immediately, yet at the same time they feel substantial, like they “mean business.”I put them through a few tests on some of the most common routing operations in my shop to see if they would be up to the tasks, and how the experience compared to using a full size router. Flush trim. I trimmed some edge banding using a flush trim bit and it performed flawlessly, which is a pretty lightweight task and something that I had assumed these smaller units would be well suited for. I like to ease the edges on many of my projects, and a compact router serves this purpose quite well. I appreciated the minimal bucking that the tool performs on start-up given the soft-start feature. Given the slightly reduced horsepower I was careful to keep the depth of cut to a minimum, but actually not that much lighter than I would have with a full size router. Inlay. I wanted to see how well a compact router would perform this intricate work. I didn’t know if their lightweight design would be a hindrance (less weight = less stability) or an advantage (easier maneuverability). In a few basic tests I found these compact units to be particularly well suited for this task. I also tried some free hand inlay routing, and the built in LED lights on the DEWALT unit were a great boon to this operation. Compatible with full size router accessories. It was also a relief to find that these compact routers can use the same guide bushings for inlay as their full-sized counterparts. I was a bit surprised and quite pleased by this discovery. Dados/mortises. 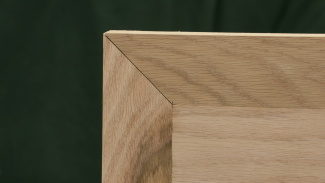 The compact units had adequate oomph to plow out smaller (1/2″ or less width) dados and mortises which is a respectable upper limit for a compact router in my opinion. I tested on maple planks and birch veneer plywood with impressive results in each case. I occasionally take on “mobile projects”, whether remodeling my basement or helping with a project at a friend’s house. In those situations I would prefer to have a router table at times, but what a pain to haul a full size unit around. So I decided to test Seth Keller’s design to see how it would work with one of these compact routers. Nice! This was a cinch to make, and I can’t believe how slick this works. Roundovers, rabbets and 3/8″ mortises, all performed with easy setup and respectable results. This almost makes me wonder whether my full-size router table deserves its big footprint in my modest shop, but I’m not ready to abandon it just yet. Great perhaps, but there is a downside to everything – I miss my collet. The advantages of using router bits with a shank are dramatic, as the larger mass holds the cutter more rigidly and dampens the vibration compared to using bits. Keep in mind that a 1/2″ bit shank doesn’t have twice the mass of a shank, but rather it actually has four times the mass if the shanks are the same length which provides stability which is a great advantage when carbide is spinning at 20,000 RPM. The compact routers that I tested only support collects, which means that roughly 90% of my router bit arsenal will not work in these units. I’ll get over it, but it raises the effective cost of purchasing the unit if you have standardized on bits as I have. Power. As indicated on the label, these routers are slightly less powerful than their full size counterparts. So, almost by definition, that this is a downside of this tool category. Users might need to take an extra pass, and avoid using bits over a certain size. There is always a trade-off to consider when downsizing tools, and normally it is some combination of power and capacity. While I admit that I did not put these through a true scientific quantitative analysis of power and performance, my subjective tests satisfied my concern about the power capabilities of these tools. For my style of work, there are very few routing operations where I would not be comfortable using a compact router. For a large run of mortises, or a large panel raising bit, I will go to my table-mounted 2 HP or larger router every time. But for virtually all hand held routing and portable table operations, I believe that these compact routers will be my mainstay. These will become my default take the tool to the project routers, perfect for edge treatments on larger components or ad-hoc dados. The combo kits available with several compact router models including the two tested here include a fixed base as well as a plunge base. This is a great way to go, as it is like getting two routers for the price of one, with each base having advantages in different applications. I generally prefer a plunge base for freehand routing, and a fixed base for use in a router table. 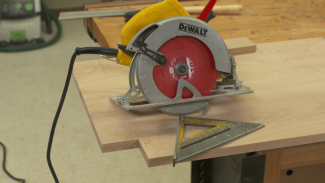 I will continue to use my router table for any operation where I can safely and easily take the project to the tool. Overall the tools that I tested performed quite well and they are nearly identical. The DEWALT has a couple of noteworthy advantages, however, one being a variable speed control, and the other being integrated dual-LED lights. I don’t know that I will slow the router down much. On full size routers I only do this when I use large diameter bits, and I don’t intend to use these in the compact routers, but perhaps I might find a use for it someday. The integrated LED, however, is a fantastic idea that I can really appreciate. Having experienced this creature comfort, I doubt I will ever buy another hand held router without it. This is an incredible advantage when doing freehand inlay routing, and one of those simple things that makes the overall experience of using the tool that much better. Thank you! I’m looking to make my first router purchase and you’ve given me some food for thought on which to purchase for my style of wood working. I may eventually buy both types, but for an initial purchase a compact might be well suited for my casual wood working needs. I am in the market for my first -ever- router purchase. And yes I am a novice woodworker, but I do like to think things through a lot before committing to …anything. 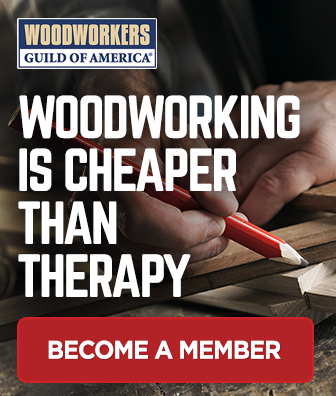 So, I was wondering, and I need your expert advice: For someone who is not a professional woodworker, is a plunge router really needed? Even more, do I need a full size powerful fixed base if I am not going to be doing …serious work. Most likely I will be rounding over/profiling edges and creating -most of the time- open dados. Also, I would mostly use composite or soft woods, rarely hard ones. For the occasional mortise, where I will need to start (and finish) in the middle of the work piece, wouldn’t I be OK if I provided a raised template inside where I’d run my cut with first creating the proper size/depth hole with a forstner bit, placing my compact router bit in there and then starting the motor and making the cut? Why plunging all of a sudden has become so “hip” and why do I need a powerful full size router when the jobs I will do can be easily accomplished with a 1-1/4 HP unit that will not break the bank also. Perhaps I am missing something being the …newbie I am. But, I’d appreciate your input. Thank you! Recommendation, make & model, places to buy, prices.